If you've ever wished you could keep tabs on the fish in your aquarium, Justin of Antipasto Hardware Blog has just the mod for you! 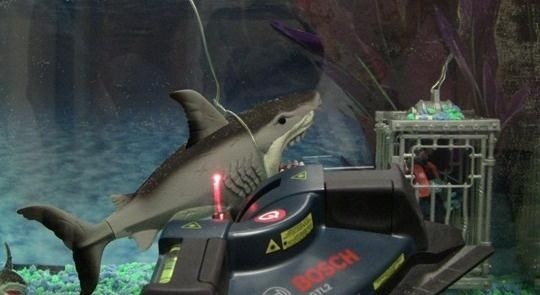 He created this DIY "shark detector" that sends out a tweet whenever Bruce the shark breaches a perimeter that he set up in the tank. 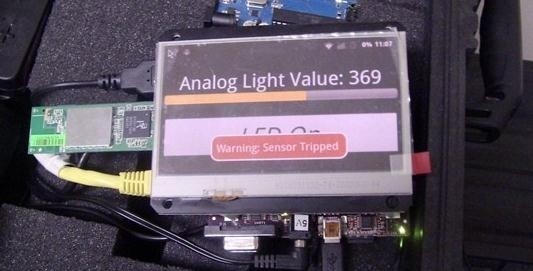 He set up a laser and an Arduino with a light sensor so that whenever Bruce obstructed the laser, the light sensor would pick up the difference in the light level and send out an alert. 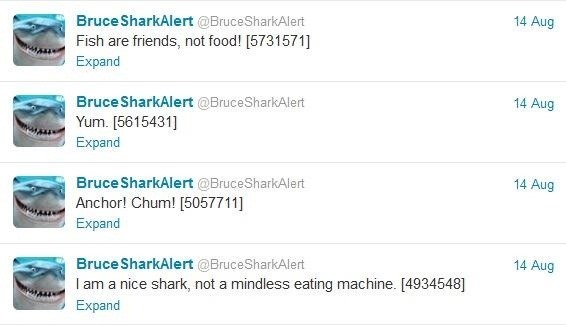 He created an app and the Twitter handle @BruceSharkAlert so that whenever Bruce gets too close to the diver in the tank, it sends out a pre-programmed tweet. Check out Justin's post to learn more and see the code that makes this ridiculous, ingenious contraption work. 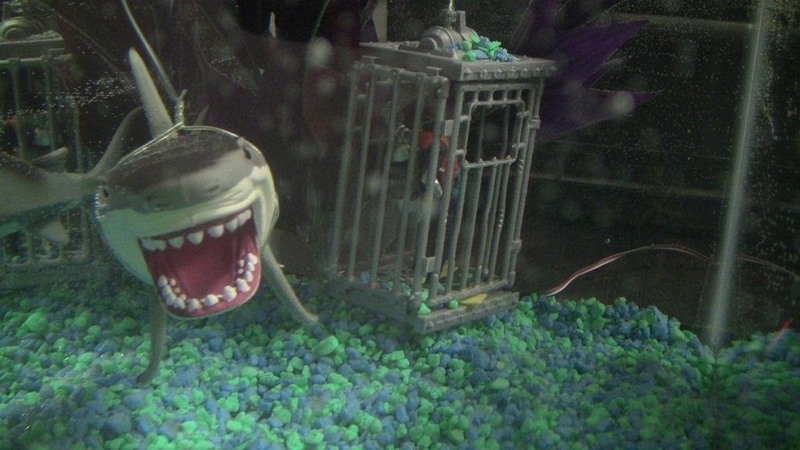 How else could this shark intrusion system be used?